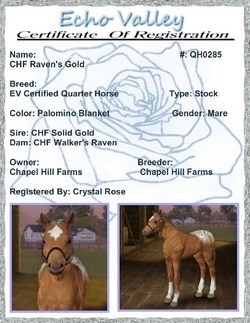 Goldie is a beautiful palomino Quarter Horse Mare. She is one of my future broodmares, but for now she is just playing with her family. She is currently in training and unavailable for breeding.